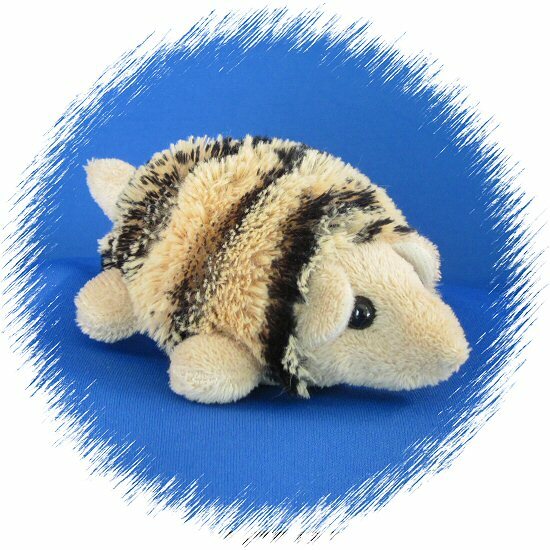 This adorable stuffed armadillo is such a cute little thing! With a cuddly little body of soft tan fur and stripedy "armour," you are just going to love this Handfuls plush armadillo. The perfect size for the palm of your hand (hence the name Handfuls), this little stuffed armadillo will definitely be a friend for life! Fun Facts: Did you know that the word armadillo is a Spanish word that means "little armoured one" and that armadillos are closely related to anteaters and sloths?